Make the holidays a little greener! 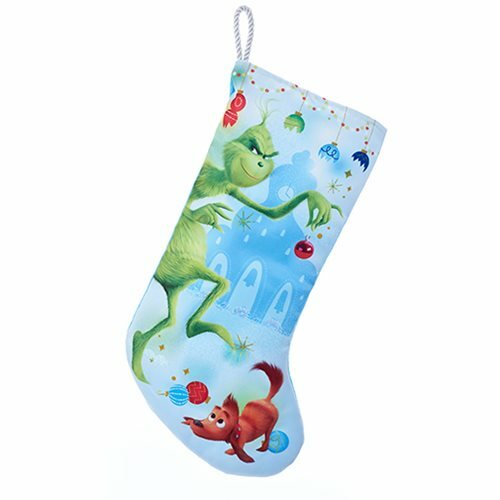 The Grinch Naughty 19-Inch Printed Stocking features the Grinch and Max on a light blue background surrounded by broken ornaments. Made of polyester, it measures approximately 19-inches tall.